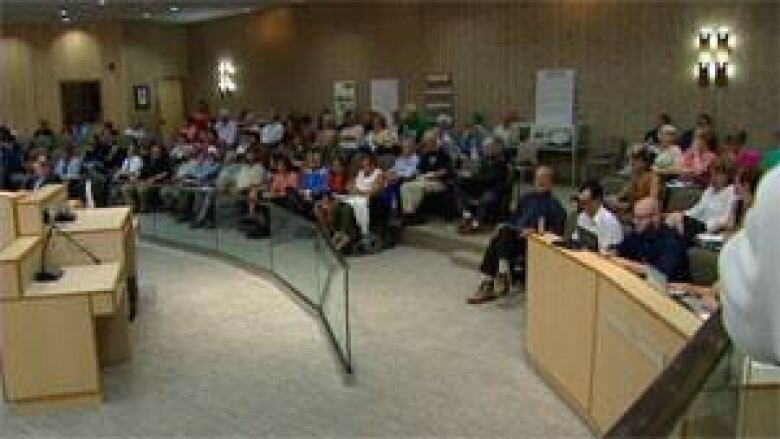 It was a packed room at Regina City Hall Monday night, as council voted unanimously to go ahead with a $278-million new stadium project. Boos of disappointment came from the crowd as city council passed a Memorandum of Understanding (MOU) that would have the city start building the proposed 33,000 seat, 'roof-ready' football stadium at Evraz Place in 2013. Fifteen people came forward at the meeting to plead their case against the new stadium, raising a number of concerns including the need for affordable housing; that the city was rushing the project, and that the decision was made without enough public consultation. "Well what we've been hearing from taxpayers is that there hasn't been enough opportunity for them to have any say in this project," said Collin Craig with Canadian Tax Payers Federation. "So for them to just rubber stamp this proposal a week after it's been tabled is disappointing to a lot of people." To pay for the project, the city will have to take a $100-million loan from the province, which is to be paid down over 30 years through a $12 per-ticket facility fee added to each football game or event at the stadium. The province will be giving the city an $80-million grant, $25 million will come from the Saskatchewan Roughriders and the city will put in $73 million. 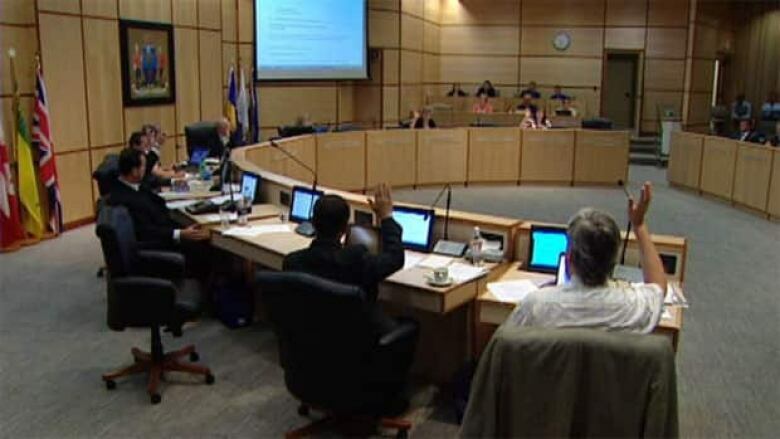 City of Regina Councillor Mike O'Donnell responded to some of the criticism saying he that council was aware that not everyone was in favour of the proposal. "I think council had the chance to comment upon some of the concerns of residents, but in the end we've been planning this for quite some time and we're prepared to go ahead with it," said O'Donnell. The city expects to spend about $675 million on the stadium over the next 30 years — the cost of building, maintaining and paying off loans. The city maintains the money will come from property taxes, the new $12 per-ticket facility fee, a hotel tax, corporate naming rights and stadium rentals. The new stadium is expected to be ready for the 2017 season. INFOGRAPHIC: Where will Regina find $675 million?